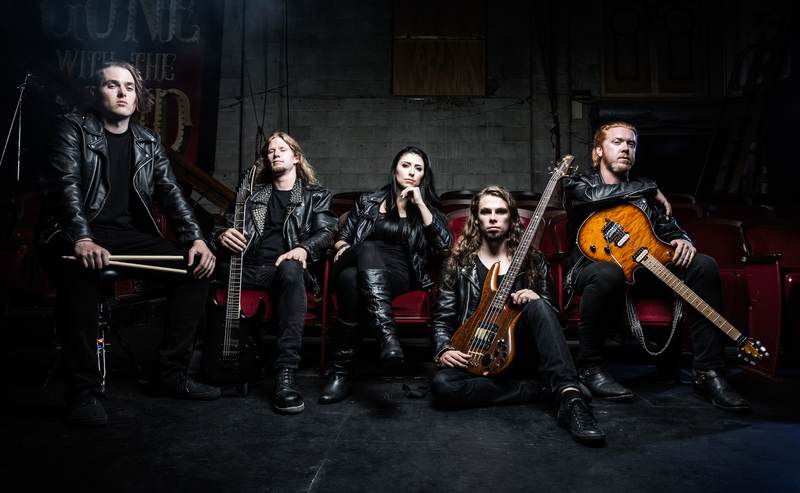 Canadian metal group Unleash The Archers is celebrating the tenth year of their career in 2017, but has already come a long way, releasing three full-length albums and an EP and garnering loyal fans all over the world in this duration. They’re marking their 10-year anniversary with the release of their fourth LP, ‘Apex’, which is being unveiled today, June 2nd, via Napalm Records. Owing to their musical elements as well as lyrical themes, artwork and imagery, Unleash The Archers has found much love in the traditional metal and power metal circles, and with ‘Apex’, they’re certainly taking themselves several notches higher in every sense, and look well poised to establish themselves in the genre even further. The album wastes no time in getting the listener hooked, as opening track ‘Awakening’ lives up to its name with scorching guitar leads, soaring vocals and scintillating rhythm fills. A better start to a traditional/power metal album could not be possibly imagined. The easygoing yet powerful ‘Shadow Guide’ succeeds as a fist-raising follow-up, and ‘The Matriarch’ is instantly catchy with its riffs and harmonies. This excellent initial phase of the album leads into the delightfully epic ‘Cleanse The Bloodlines’, a song many may have already heard, as it was rightly chosen as the first pre-release single. This one is the perfect representation of all things Unleash The Archers, a song tailor-made for fans of the band as well as enthusiasts of fantasy-based themes. But there is no letup on this all-killer, no-filler album, as this marquee composition is quickly followed by ‘The Coward’s Way’. This is a song dominated by guitar melodies, which no old-school heavy metal would have any complaints with. The second half of the album is just as impressive as the first, if not more, with the 8-minute track ‘False Walls’ allows all musical layers to breathe fully. But track #7 i.e. ‘Ten Thousand Against One’ is undoubtedly the best of the lot, and decorated by stellar songwriting and an all-conquering chorus, it is all set to become a fan-favorite in the months to come. Almost like an encore after a grand faux-finish, the album offers two more extremely solid tracks, ‘Earth and Ashes’, ‘Call Me Immortal’, and saves its longest song, the title track itself, as the final piece of the puzzle. The most striking feature of the album is that despite its 60-minute length it never feels long, such is the ease and smoothness with which it flows from one song to another, and indeed within each song. The band does not shy away from writing 7-8 minute songs, but they do so only because they clearly had the material to make songs of these lengths. There is a sense of natural musical expression that the listener can feel upon absorbing this album, which probably proves that the band wasn’t even conscious of the song lengths or the duration of the album as a whole. The jaded ones in the industry often lament this era of minimal album sales, but on the flip-side, it has also clearly encouraged freedom of musical creativity, because none of it is geared towards radio or MTV. This type of uninhibited expression is what fuels this Unleash The Archers album, and listeners will be abel to recognize and appreciate it straightaway. The songwriting is absolutely brilliant on this one, and the performances are second to none. The clean singing is truly exemplary, and the growling vocal bits are used very judiciously, at opportune moments. The unwavering excellence of the guitar work is the link that connects all ten songs together, and the rhythm section forms the crucial backbone that’s indispensable for any great heavy metal album. 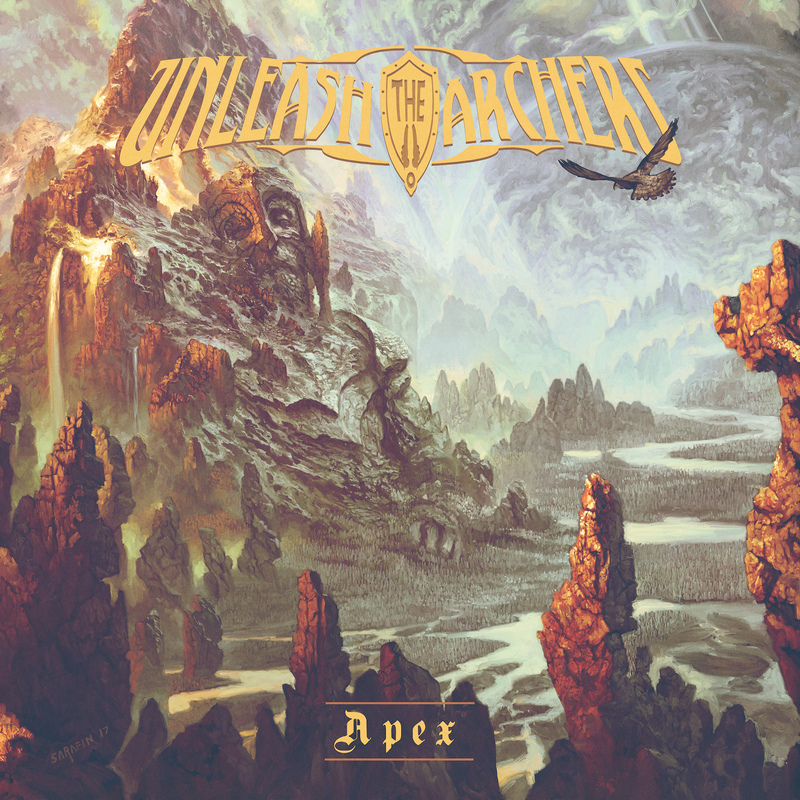 With ‘Apex’, Unleash The Archers will not lose any of their already established fan-base, but will instead reach and please new sets of ears, and this is where the band has surpassed their previous efforts, which were all great ones. This new one is by no means a mere power metal album, and beyond any sub-genre definitions, it is quite simply a fantastic album that should impress metalheads of all tastes. ‘Apex’ is Unleash The Archers’ finest hour.